Get the power to Convert Mozilla Thunderbird emails by using the Mozilla thunderbird to PST Converter Software that permits to completely convert emails from Thunderbird to PST, HTML, TXT, DOC and EML (Windows Live Mail, Windows Mail, Outlook Express). This Software acts as multiple and powerful converter program that export thunderbird emails into other or several popular email applications. Elegant thunderbird file converter Software enables to maintains all emails properties as like- attachments, formatting, header information and images etc while convert thunderbird PST outlook file. Abilities to convert thunderbird emails to outlook along with all folders or sub-folders. With PST format, there users can restore thunderbird emails to MSG, EML, HTML, TXT and DOC format. Mozilla thunderbird to PST Converter Software is multidimensional conversion solution that has power to convert thunderbird to outlook, EML, MSG, HTML, TXT and DOC format. In single solution, there we added several features that all are optional as per the need users can check or un-check while conversion time and all the conversion time will be contingent on the size of Mozilla thunderbird file and let we clear there we didn’t define any size limitation so that users are capable to browse any size of thunderbird files to convert its emails along with emails properties and attachments into several formats. If you have several Thunderbird files and would like to convert all them into PST format, then this Mozilla thunderbird to PST Converter software will help you to do batch conversion. You can add multiple thunderbird files and convert all of them to PST or other formats by which you can save your precious time. This is a wonderful software that supports selective items conversion from thunderbird to PST or other items, use this option only when you want to export few selected folders of thunderbird files to PST, EML, MSG, HTML, TXT and DOC etc. Select all folders or sub-folders by check or un-check process of the software. Mozilla thunderbird to PST Converter Software offers multiple choices to save the converted emails of thunderbird files into PST, EML, MSG, HTML, TXT and DOC. 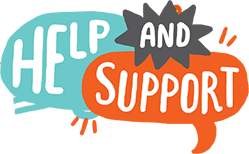 This totally depend over the users according to need they can choose the format to restore the converted data of thunderbird files with maintains all data integrity or emails properties or attachments. In this utility, we added additional benefits for users if they think the size of created PST file would be large that may difficult in managing in this case you can create more than one PST file of required size in MB by choosing PST Split option which is available at free of cost while conversion time of thunderbird to outlook process. Convert thunderbird to outlook Software easily preserves proper formatting of emails while conversion process of Thunderbird emails and maintains the entire header information like (to, bcc, cc, from, cc, date and attachments). Software never harm thunderbird data it just converts thunderbird PST in well format. Mozilla thunderbird to PST Converter Software can support to convert thunderbird emails to other format (PST, EML, MSG, HTML, DOC and TXT) with all attachments if any emails has. It will save all types of attachments as like- images, pdf, documents, reports, xls, png, jpg and doc etc. So quickly download the software and convert all emails of thunderbird. Have Demo Version of PST Export Tool - A demo version provided with the intention to solve user’s problem related to software working process, all users are capable to use the demo version and examine software conversion fast process. Demo allows save 25 emails per outlook folders into EML format at free of cost. What format does the software supports to convert thunderbird PST? The software supports multiple formats; it simply converts Mozilla thunderbird to PST, EML, MSG, DOC, TXT and HTML. I’ve thousands of thunderbird files that having large size for migration from windows 8 so can I use the software for conversion? Yes, you can effortlessly convert unlimited thunderbird files to windows 8 without any size limitation into any provided format like- PST, EML, MSG, HTML, DOC, TXT etc. Can I Export Several Thunderbird files at a Time? Yes, the software is capable to convert several files stored within a folder of thunderbird into single PST file. Can I Import Converted PST File into Outlook 2016? Yes, this Mozilla Thunderbird to PST Converter software will create UNICODE types of PST File that easily supported by MS Outlook 2016/2013/2010 and below versions. Can I convert thunderbird files data into windows live mail using the software? Yes, convert thunderbird to outlook Software offers users to export emails of thunderbird to PST, MSG, HTML, DOC, PDF and EML file. 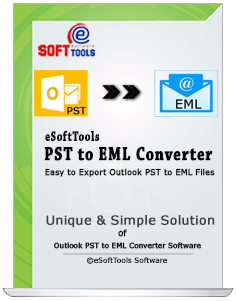 The converted EML files you can easily import into windows live mail application.